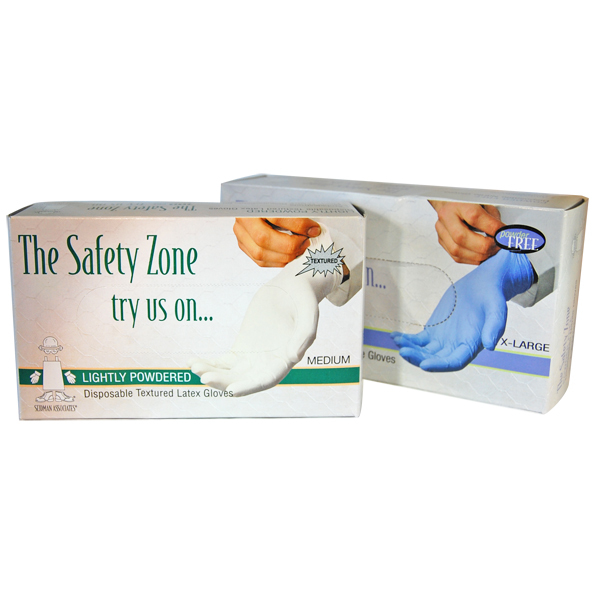 Latex lightly powdered textured or powder-free gloves offer chemical splash protection in a variety of applications. Not for medical use. Ambidextrous gloves some meet FFDCA requirements for food contact. Sold 100/box in small, medium, large and extra large sizes. Choose between 5 mil lightly powdered or 5 or 8 mil powder free.